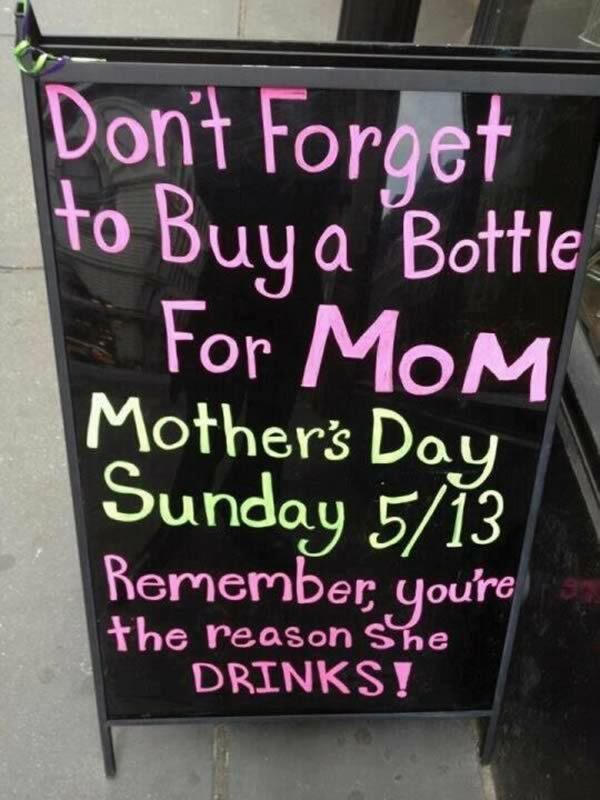 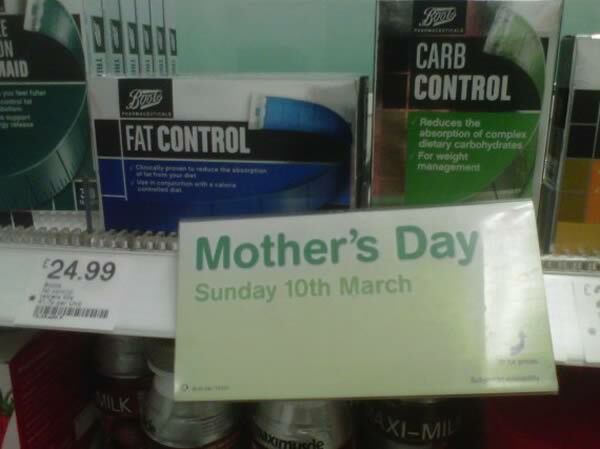 Suggesting your mother needs to lose weight on Mother's Day – yes, this would guarantee you the title of worst son/daughter ever. 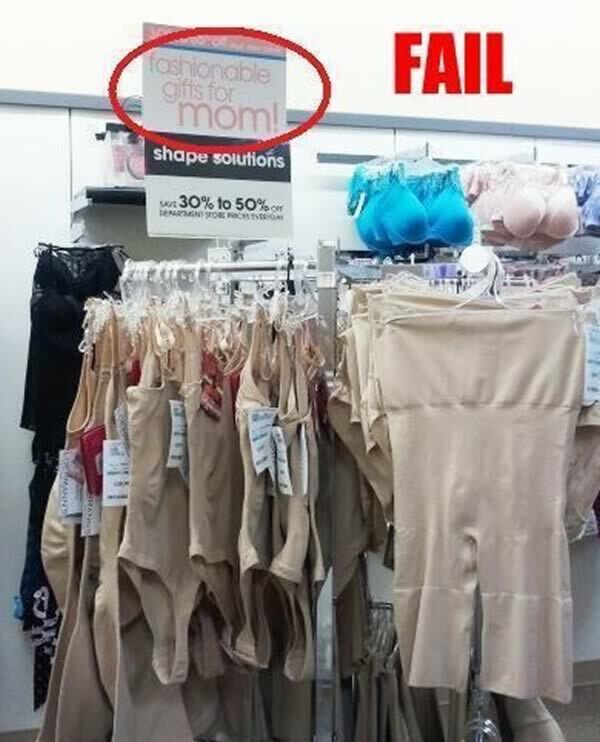 Not so much fashionable as awkward. 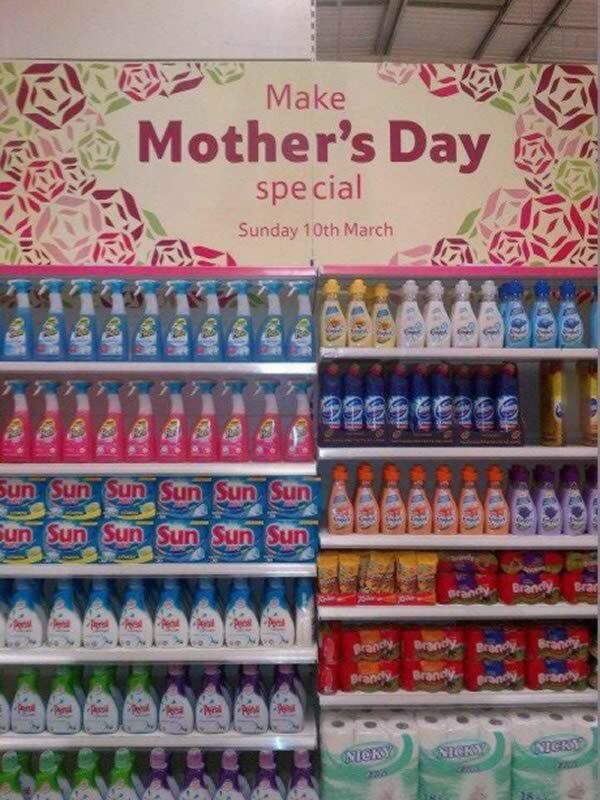 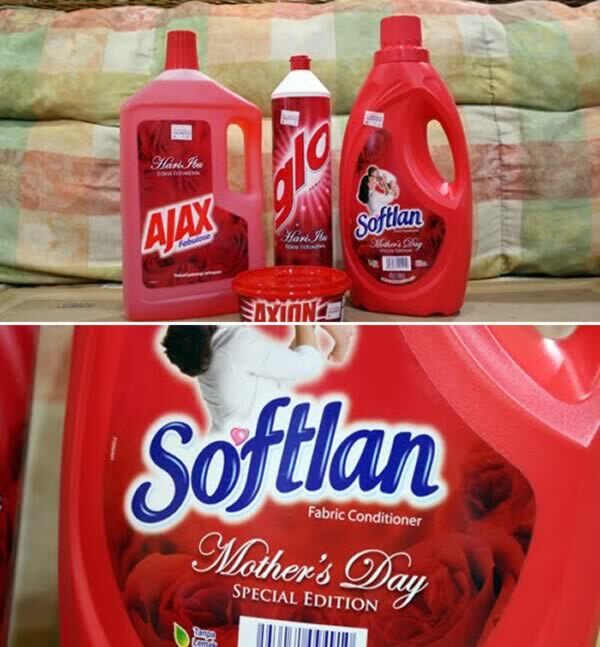 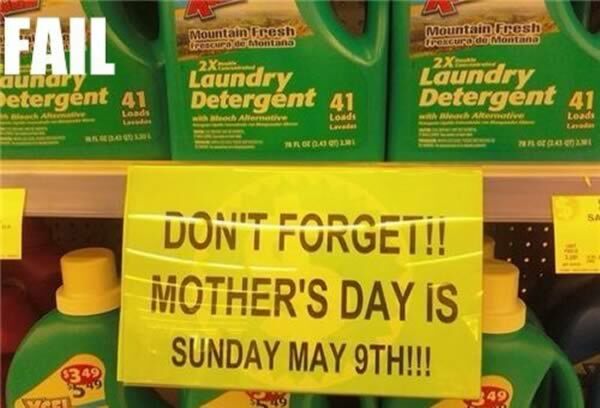 Some mothers wait all year to get detergent on their special day. 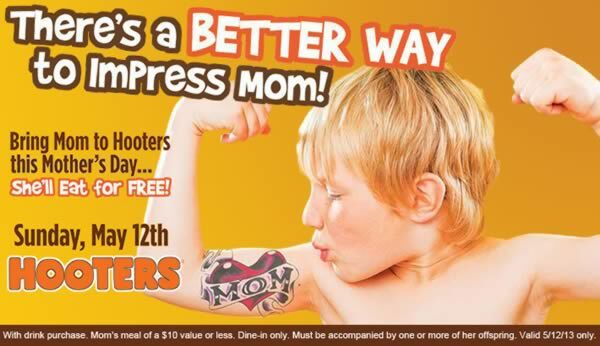 How would taking your mother to Hooter's impress her when you aren't even paying for the meal? 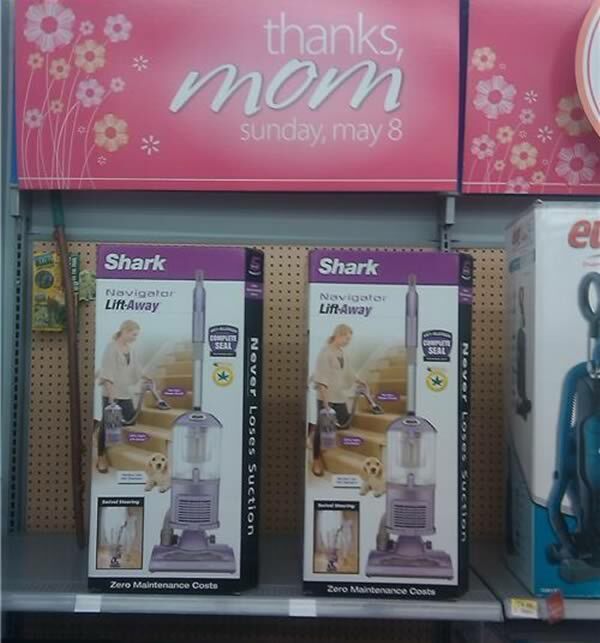 Special edition for Mother's Day. 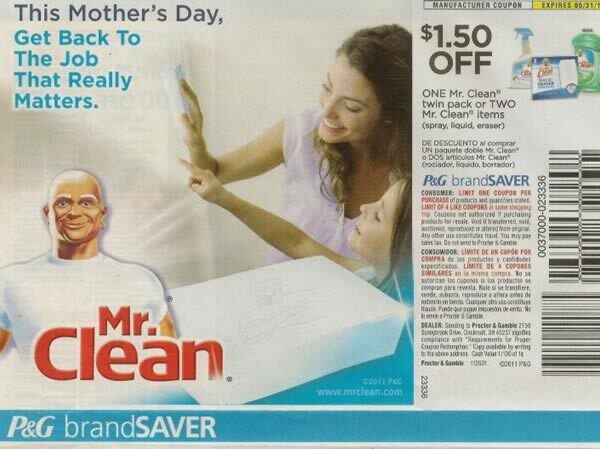 We should all stop what we're doing and promise not to buy Mom anything cleaning or cooking related.